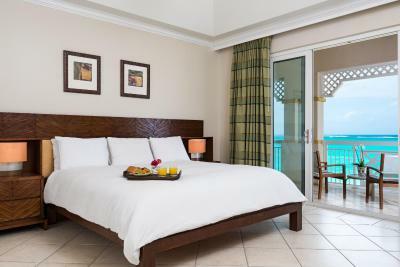 Lock in a great price for Alexandra Resort- All Inclusive - rated 8.1 by recent guests. The staff was excellent, very friendly & helpful! We loved the room with its great view & balcony. It was convenient having a small refrigerator & washer & dryer. The fridge was well stocked with pop, beer & water. We enjoyed going to the sister hotels. Swimming pool very nice. Dinner menu was quite good . Staff were very nice. 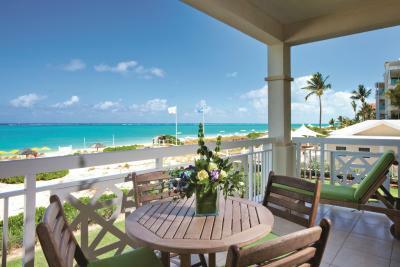 Amazing location straight on to Grace Bay beach. Good rooms, plenty of space, nice pool. Boat trips right at the property. Bikes were fun and always available. Go all inclusive as it would be hard with any other option. Loved the staff. they were very accommodating and helpful. They always made us feel welcomed and never was given any type of attitude. Beach is amazing and we were upgraded to the penthouse!! Beaches was extremely nice, spent most of our time there actually. Food was great at both locations! 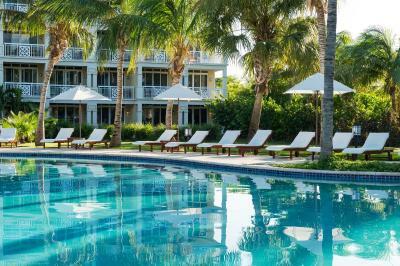 One of our top picks in Grace Bay.With an idyllic location on spectacular Grace Beach, Alexandra Resort- All Inclusive boasts a large pool and a beach area. Complimentary WiFi is available throughout the resort. Providenciales Airport is only 10 minutes’ drive. 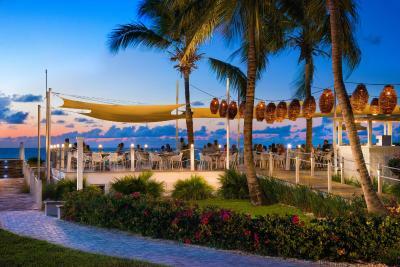 All meals at the any of the resort’s restaurants as well as unlimited domestic and premium beverages at any of the resort’s restaurants, bars and swim up pool bar are included. All-inclusive access is also provided to sister resorts as well as complimentary shuttle between all three resorts. 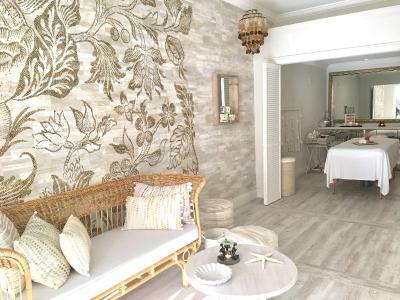 Some of the elegant suites at Alexandra Resort look over the lovely coastline from a private balcony or terrace. 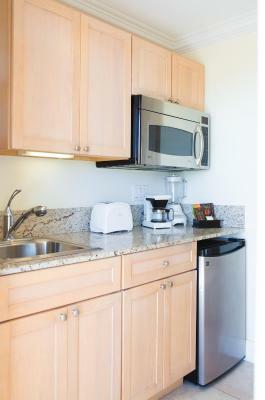 Each suite features air conditioning, cable TV, DVD player and a full kitchen or kitchenette. 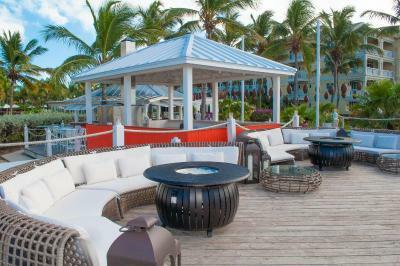 The international-style restaurant overlooks Grace Bay Beach and it serves a variety of international and Caribbean dishes.The pool has its own swim-up bar, with a range of signature cocktails. 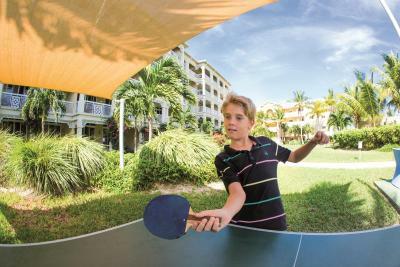 Free use of resort amenities including exercise room, tennis courts, non-motorized watersports including water trampoline, snorkeling, kayaks, stand up paddle boards and sail boats. 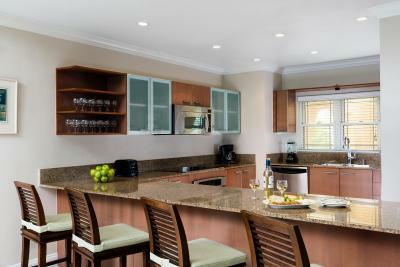 The marinas at Sapodilla Bay and Leeward offer bars and restaurants and are within a few minutes’ drive. Alexandra Resort- All Inclusive has been welcoming Booking.com guests since 19 Dec 2007. 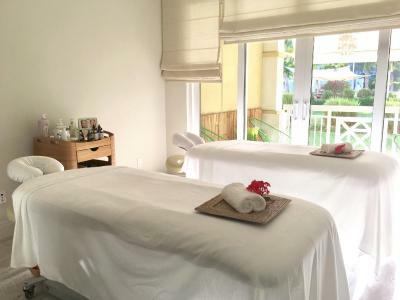 When would you like to stay at Alexandra Resort- All Inclusive? 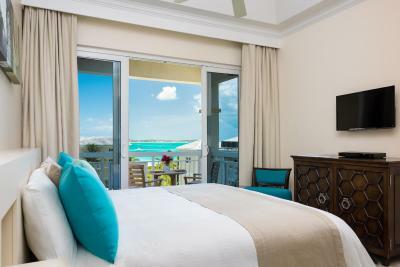 Guests who stay in the One Bedroom Deluxe Suite enjoy a partial ocean view from the suite's balcony. Luxury ocean front suite with lovely views from the large balcony. 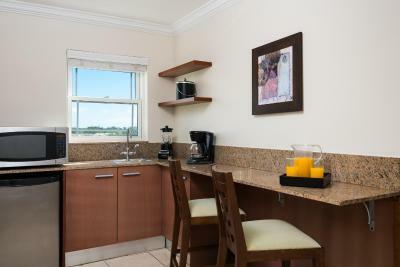 It offers designer teak furniture, and a sleek granite kitchen with a washer/dryer. 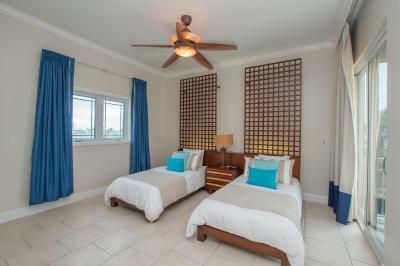 The large living area has a TV and free Wi-Fi access, and each bedroom has a private bathroom. Can accommodate a maximum of 6 people. 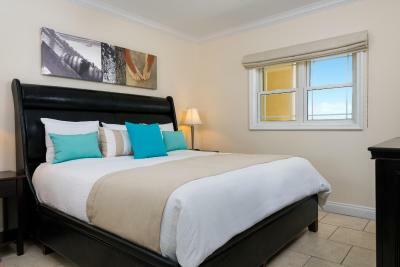 Guest who stay in the Two Bedroom Deluxe Suite enjoy an ocean view. This suite features a four-piece en-suite bathroom with 2 sinks. It also features walk-outs from both the master bedroom and the living room to a large deck or terrace. It comes with a sleeper sofa, washer and dryer, well appointed kitchen and a powder room as well. This studio has a balcony, kitchenware and seating area. 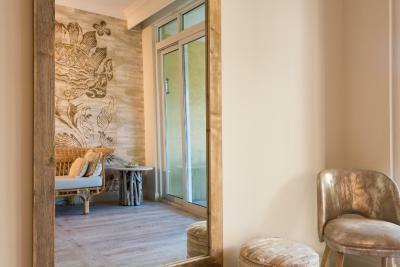 This studio features a balcony, tile/marble floor and seating area. This studio has a balcony, air conditioning and sea view. 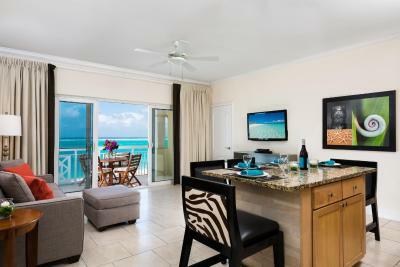 The Alexandra Resort invites you to enjoy the best resort value on world acclaimed Grace Bay Beach. House rules Alexandra Resort- All Inclusive takes special requests - add in the next step! Alexandra Resort- All Inclusive accepts these cards and reserves the right to temporarily hold an amount prior to arrival. Please note the merchant name Ultimate Resort Vacations will appear on your credit card statement when you book this property. Check in at Alexandra was horrific! Kept telling me my room would be ready "in 20 mins or so" and at 5pm When I demanded a days worth of charges be considered refunded to me, they seemingly had my room ready in 10 minutes. I arrived on property around 1:30 pm, never got into the room until 5 pm. When I asked about a late check out the following weekend, (by only one hour) they said no, that they needed my room for a guest check in that day! "Hospitality" of the resort staff, at times they wouldn't even acknowledge you, at other times they acted like they were very unhappy to be there. There were a few that were much better, but the general vibe is not what we've come to expect from a nice, all inclusive resort. Service was better at Beach House, we thought the beach is nicer at Alexandra. The Beach and water were amazing. I did not like getting propositioned to buy drugs while sitting on the beach. Alexandra should fire all the beach attendants including the beach towel attendant. They facilitate the non-employee local by feeding them and giving them drinks which means you always have non-employee local hanging around the beach of the resort. I will not be staying at Alexandra on my next visit. Service was great. People are great. Everyone is friendly and will go out their way to help you have a good time. Figuring out where to eat, which ones were open/closed was confusing. The air in the room didn’t always work, and the shower wouldn’t stay hot for long. The beaches were incredible, and the amenities were easy to access. Fridge in room barely worked. Did not keep things cold. Staff are very Blaise and don’t know what’s going on within their operation when you ask questions. The Alexandra far exceeded my expectations. I traveled for a long weekend with my boyfriend and we were blown away. I am pretty picky when it comes to accommodations - cleanliness, view, value, etc - and I was very impressed. The Alexandra has 2 sister resorts, the Beach House and Blue Haven. The Alexandra is a bit more casual, beachy and low-key, while the Beach House is more upscale. We didn't have time to make it to Blue Haven but it looked awesome in pictures. I highly recommend any of these resorts and will definitely be going back. Not much variety. No one meal stood out. The buffet ran out of foods quickly and were not replenished (at least for as long as we waited). As a person with allergies, it was challenging to determine ingredients. The service was outstanding. The drinks were plentiful. The food itself wasn’t amazing, but we didn’t go hungry. The meal we had at the sister resort, Beach House, was excellent. The grilled chicken and corn available all afternoon was pretty good. The service at lunch was slow at times. Our room was beautiful and the views were spectacular. Service was not good at all except 1 or 2 people. Chairs and cushions were dirty, towels weren't readily available, bars weren't stocked properly or open and manned with enough help.